A safe high-tech cancer vaccine treatment without side effects that can potently stimulate your immune system. 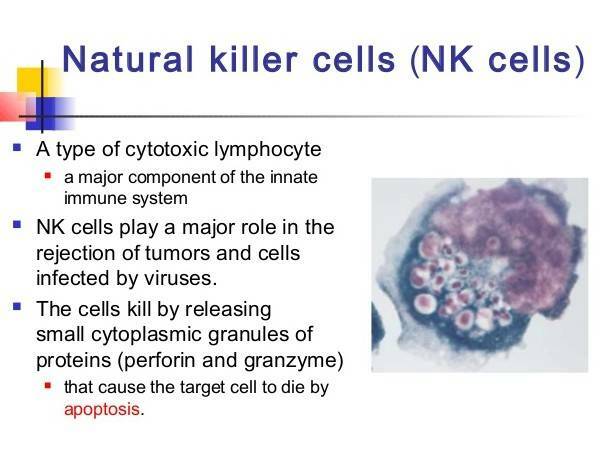 A cancer vaccine treatment made from your own immune cells that can increase the number of natural killer cells (NK) as well as increasing their cytotoxic activity by 3 to 20-fold. How our stage 4 advanced cancer patients felt when their doctors delivered the news that their cancer had unexpectedly gone into remission, regressed or simply stopped growing. The immune specialist to whom we refer our navigated patients, a highly acclaimed MD PhD; has been called the Father of Immunotherapy in Asia. He and his colleagues pioneered unique, personalised cancer vaccines to deliver, safe and effective cancer treatment to significantly contribute to patients’ life extension. They invented a novel (patented) in vitro cell expansion system for obtaining a large number of highly activated human NK cells and T cells that can now be used for cancer immunotherapy. Over many decades, there have been several reports from various countries on successful application of cell-based immunotherapy to various solid tumours and haematological malignancies. Our immunotherapy colleague believes that cancer has to be tackled by multi-disciplinary approaches. Combining cell-based immunotherapy using NK cells and CTL (cytotoxic lymphocytes) with hyperthermia and low-dose chemotherapy can for some patients, be an effective strategy to treat cancer. Of most importance; cell-based immunotherapy can be of great value to prevent cancer recurrence. Our immunotherapy colleague believes that many cancers have to be tackled by multi-disciplinary approaches, especially when there is high tumour volume. Why is chemotherapy used sometimes? Doesn’t it destroy the immune system? Don’t’ throw the baby out with the bathwater – chemotherapy can be immune stimulating. Read on! Our Immunotherapy experts says that sometimes low dose chemotherapy and immunotherapy can be synergistic and help to orchestrate immune function. There is growing body of literature on chemotherapy-induced anti-tumour immunomodulation. Results from many studies highlight the therapeutic potential of synergistic strategies that combine traditional chemotherapy with immunotherapy. Low dose chemotherapy is often used in these situations as high doses of chemotherapy may negatively impact immune cells. As well as chemotherapy, low dose radiation has also been found to to stimulate immunity including antibody formation, NK activity, CTL activity, macrophage activity, ADCC activity, secretion of proteins and other cytokines as well as other cellular changes. Animal studies have revealed that low dose radiation can retard tumour growth, decreases cancer metastasis, and inhibits carcinogenesis induced by high dose radiation. These effects of LDR on cancer control were found to be related to its stimulation on immunity. In brief – The same type of immunotherapy vaccines made from your own cells, can also be used after conventional treatments, such as surgical operations, radiotherapy, cyberknife, proton beam treatment and chemotherapy. During the course of their stay in Asia (usually 3 weeks); our immunotherapy colleague provides our clients with a series of specific immune function reports. These include measurements of immune cells: quantity of cells, functionality and percentages of cells before during and after treatment. As well, blood is measured using sophisticated cancer markers and tests not used in conventional Western cancer medicine. To enhance your immune activities he can use many types of immune cells such as NK cells, NKT cells, γδT cells, αβT cells, cytotoxic T cells (CTL) and dendritic cells (DC). In the multidisciplinary approach to treating cancer, different types of cells can be used. Why our colleague focuses on enhancing NK cell function. 1. – the epidemiological data show the relationship between NK activity and cancer incidence. 3. – experimental results show that expanded NK cells can kill cancers efficiently. 4. – in patients with cancer and viral infection, NK cells function has been shown to be impaired. Our colleague has also shown that NK activity in peripheral blood was significantly lower with breast cancer than that of healthy individuals. Data suggests the important role of NK cells for host defence mechanisms against cancer. 5. – NK cells can enhance the effects of monoclonal antibody (mAb) treatments on cancers through antibody-dependent cellular cytotoxicity (ADCC). Cell based Immune therapies may hold the answer to your cancer. Please view the videos below to witness the miracle within – our immune system. Perhaps you have been wondering what is the difference between the cell based immune therapies discussed on this page and the drug based immune therapies promoted widely in the media and now being enthusiastically adopted in many of our cancer hospitals. 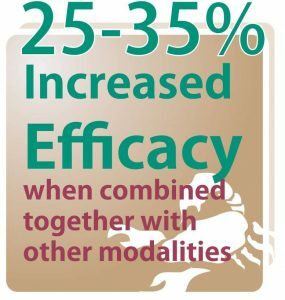 occasional excellent outcomes in some cancers, but still considered experimental – although FDA approved. long term effects known – no negative outcomes observed.